Applications to the small branch office. The Avaya G250 Media Gateway is a powerful branch communication solution that packs an IP telephony gateway, an advanced IP WAN router, and a high-performance LAN switch into a compact, 2U high 19” rack mount unit. The G250 Gateway is a new member of the Avaya branch gateway product line that extends the Avaya Business Communications Applications from a headquarters location to a branch. It is ideally suited for enterprises with multiple branch locations needing from 2 to 12 extensions. The system gains its functionality from a centralized Avaya Media Server running Avaya Communication Manager, and includes several survivability options for increased reliability and confidence. Alternatively, where a stand-alone branch solution is desired, the G250 Gateway can operate as a stand alone system with Avaya Communication Manager running on an internally installed media server. As part of the Avaya Media Gateway family, the G250 can be installed in very small branch locations, while the Avaya G350 and G700 Media Gateways serve small and medium sized branches, delivering commonality across the entire enterprise. The G250 Gateway is designed to meet the increased communication needs of branch offices by connecting everyone in an organization regardless of where they work. All users in an enterprise can now have access to a full set of enterprise communication applications. No longer do branch employees have to settle for a separate, often isolated communication system that requires them to remember different dialing codes to reach other employees. Additionally, with a single set of centralized applications, management is significantly simpler than managing multiple systems serving each branch location. Modem Dial Back-up: Allows the gateway to reconnect to the centralized Avaya Media Server over a modem if the main connection is lost. Enhanced Local Survivability: An Avaya S8300 Media Server can be installed in the G250 Gateway to operate as a Local Survivable Processor delivering 100% of the Avaya Communication Manager features. Connection Preserving Migration: Keeps calls connected if the gateway loses connection and is migrating to a backup connection or an alternative media server. rates with available WAN bandwidth. features such as AES encryption and integrated VPN. includes DCP ports on its chassis. 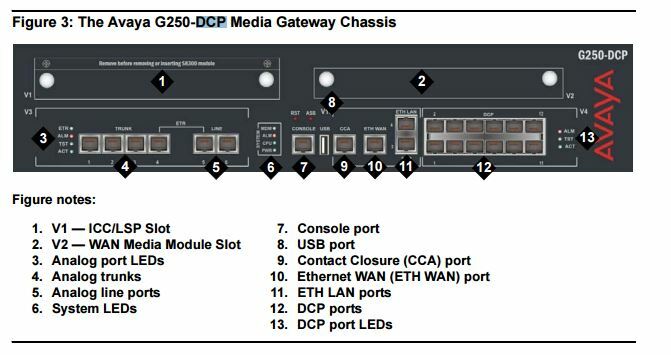 For more information visit our Library for Avaya G250 Media Gateway. The 9611G IP deskphone is an 8-line phone ideally suited for users that consider their phone to be one of many useful communication tools, and rely on common functions like directory and speed dial to enhance productivity and communications. Enabling customers to transition easily to the best of IP phone technology, the 9611G IP Deskphone delivers intelligent communications with a traditional look and feel, graphical color display, high definition audio quality with full duplex speaker, and a wideband handset and headset. Competitively priced and high-performing, it supports a USB interface, integrated Gigabit Ethernet, a secondary Ethernet port, and up to three 12 or 24 Button Expansion Modules. Part of the 9600 Series IP Deskphones, the 9611G leverages your enterprise IP Network to deliver sophisticated communications from headquarters or remote locations. Integrated with the Avaya Aura® and IP Office™ Platforms, the 9611G’s evolutionary approach optimizes communications through a flexible architecture that leverages existing investments and accommodates changing business needs. The Avaya 9611G Digital Deskphone sells in Unopened Condition and as always it will be delivered in A++ condition. For more information visit our Library for Avaya 9611G IP Telephones. Server to deliver Communication Manager-based telephony to campus environments. The Avaya G450 Media Gateway consists of a 3U high, 19” rack mountable chassis with field- removable Supervisor Main Board Module, Power Supplies, Fan Tray, DSP resources and memory. It has eight Media Module slots that host a combination of interface boards to support T1/E1, ISDN-BRI, WAN interfaces, digital or analog telephones and analog trunks. The first Media Module slot can also host an S8300 Server to provide integrated IP Telephony for standalone businesses or mission-critical survivability for branch office-deployed G450s. supports optional DSP and Memory add-ons. Built-in interfaces include two 10/100/1000 Base-T LAN ports, two 10/100 Base-T WAN ports, two USB ports, console and services ports, contact closure adjunct port, and an ETR port (for emergency calls during power failures) Compact Flash slot for additional announcements storage. are available as daughterboards for Main Board Module. These daughterboards can be implemented in increments. The maximum capacity is 320 channels. Codecs supported include G.711, G.729, and G.726. including 320 voice channel capacity, 192 analog or digital (DCP) ports, up to 8 T1/E1s* up to 10,000 Busy Hour Call Completions. such as dual,redundant, load-sharing power supplies; modular fan tray, standard Local Survivability and Enhanced Local Survivability (with S8300 Server). including OSPF, RIP, PPP, Frame Relay and VRRP support. Available IP WAN routing media modules add support for PPP/Frame Relay connectivity over E1/T1 or Universal Serial Port (USP) interfaces. The G450 can also connect to an external WAN device via fixed 10/100 Ethernet WAN router ports, which support traffic shaping to match data transfer rates with available WAN bandwidth. including Dynamic Call Admission Control for improved bandwidth utilization and Respond Time Report for better WAN monitoring. including VPN support, SRTP encryption, SSH/SCP, SNMP v3 support, secrets management. G450 supports Standard Local Survivability, where basic telephony features are available when the WAN link fails. Furthermore, dual, redundant hot-swappable power supplies, and replaceable, hot-swappable main board modules and fan trays ensure help to lower both MTBF and MTBR. The G450 is interoperable with other Avaya Media Gateways and can be used in either the main headquarters location (with an S8XXX Server running Communication Manager) or a mid to large branch office networked back to a central S8XXX Server. The G450 has the capacity to grow as business needs expand with its modular architecture and capacity for 192 analog or digital endpoints, 8 T1/E1s*, 320 DSPs, and 64 announcements. The G450’s modular design streamlines serviceability for both customers and field technicians. Fans can be easily replaced, DSPs and RAM easily added, supervisor modules swapped out, power supplies changed. 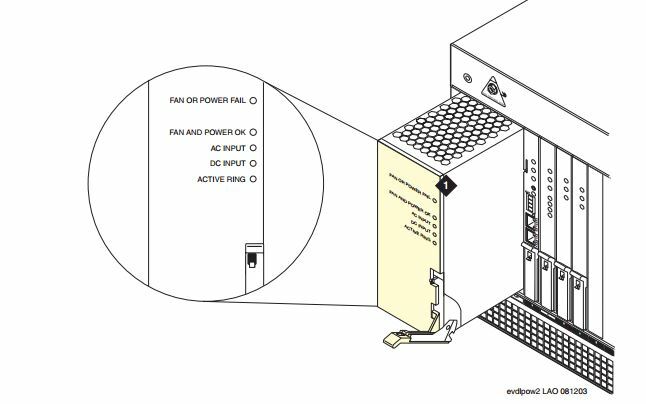 Given that all media modules, main board modules, power supplies and fan trays are hot-swappable; downtime is minimized. The G450, like other GX50 Media Gateways, helps to encrypt voice traffic and signaling over the IP network to prevent eavesdropping. In addition, the G450 supports advanced security features such as comprehensive secrets management, SSH/SCP and SMNP v3 so network managers can securely configure and manage the G450. The Avaya G450 Media Gateway is compatible with MM710, MM711, MM712, MM714, MM716, MM717, MM720, MM722, MM340, and MM342 Media Modules. For more information visit our Library for Avaya G450 Media Gateway. The Avaya 9400 Series Digital Deskphones allow companies to deliver highly reliable, high quality, communication solutions for a range of user types within the organization. 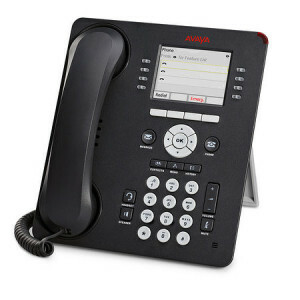 With an appearance and functionality similar to that of the well-established Avaya 9600 Series IP Deskphones, the 9400 Series can be deployed in mixed digital/IP telephony environments and are an ideal choice for companies wanting to add digital endpoints – with a consistent look and user experience – to their existing portfolio. The 9400 Series’ smart design, crystal-clear sound and productivity features make these phones an easy choice for companies looking to gain strategic competitive advantage from their communications infrastructure. The 9400 series features large, eye-friendly displays; paperless, all-digital labeling; and a high quality integrated speakerphone that ensures everyone can hear and be heard. There’s almost no learning curve with the 9400 Series. Almost any user will intuitively know to use the fixed keys to access the most common features and the flexible soft keys with contextual guidance and prompts. The 9400 Series is an excellent value for your growing company – and it’s designed to remain that way, with expansion options including a headset interface. The 9400 Series delivers significant competitive advantages at its price point while lowering total cost of ownership for your company. Essential or “power users” are customer facing workers who spend a great deal of time on the phone. They rely on advanced telephony features and depend on high quality, real-time voice communications, for the success of their roles. Navigators are people who answer incoming calls, transfer customers to various departments or extensions and monitor several line appearances throughout a typical day. 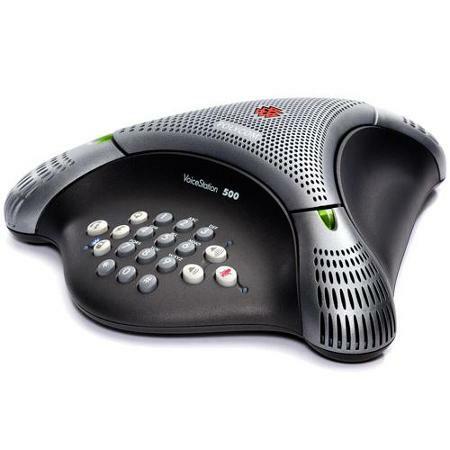 The Avaya 9408 Digital Deskphone sells in Unopened Condition and as always it will be delivered in A++ condition. 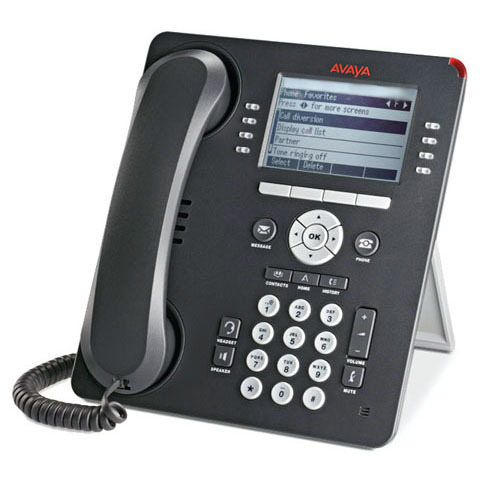 For more information visit our Library for Avaya 9400 IP Telephones. 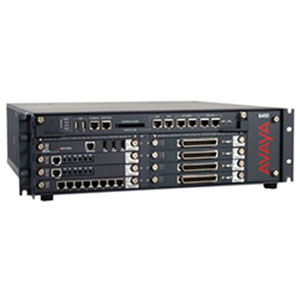 The Avaya MM717 Media Module provides 24 Digital Communications Protocol (DCP) ports connected through an RJ21X amphenol connector. The MM717 allows you to use one of the smaller media module slots for a large number of DCP telephones. 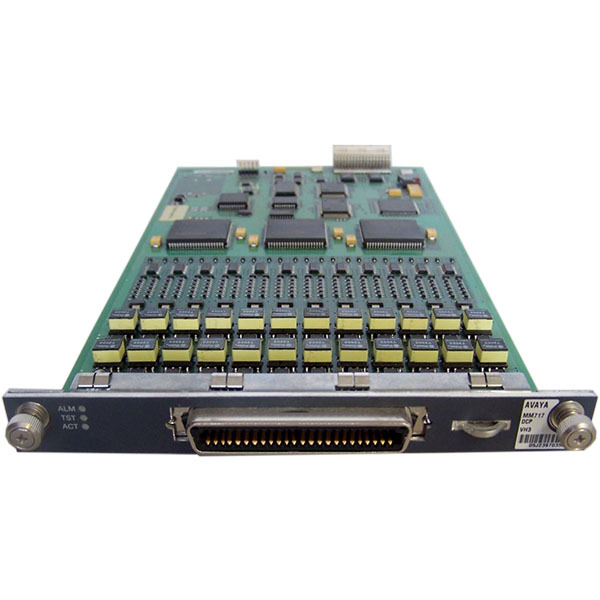 For more information visit our Library for Avaya MM717 DCP Media Module 700394711.pdf. The Polycom VoiceStation 500 is a small Bluetooth-enabled conference phone ideally suited for desktops, offices, and other small rooms. With a microphone range of up to seven feet, the VoiceStation 500 is perfect for small conferences with three to four participants. Plus its compact industrial design fits well on a desk or small table, making it a great solution for offices. With the VoiceStation 500, you can enjoy Polycom’s legendary voice quality at an affordable price. Use your Bluetooth-enabled mobile phone to connect wirelessly to the VoiceStation 500 for hands-free voice conferencing. It can also connect to a Bluetooth-enabled computer for high-quality hands-free conferencing over Internet calling services such as Skype. If your mobile phone or computer is not Bluetooth-enabled, simply use the integrated 2.5mm applications port for wired connections. Featuring Polycom’s award-winning Acoustic Clarity Technology, the VoiceStation 500 delivers significantly improved voice quality over the previous-generation VoiceStation 100. The VoiceStation 500 features three sensitive microphones that offer 360-degree room coverage. Smart technology, such as Dynamic Noise Reduction (DNR), provides maximum microphone sensitivity, while reducing distracting room and background noise. It also features technology that resists interference from mobile phones and other wireless devices, delivering clear communications with no distractions. Plus, Polycom’s legendary full-duplex technology ensures that everyone on the call can be heard. Convenient controls for Bluetooth, volume adjustment, mute, redial, flash and hold are located on an intuitive, easy-to-use keypad. When dialing over regular phone lines, a handset phone can be plugged in for private calls, or simply switch back to the VoiceStation 500 for hands-free conversations. In today’s Internet driven world, the ability to conduct real time communication and collaboration has become critical to an organisation’s survival. As the market leader in voice, video, data and web solutions, our awardwinning conference technology makes it easy for people to interact and maximize productivity over any network, in just about any environment, anywhere around the globe. That’s why more organisations worldwide use and prefer Polycom conferencing solutions. Because when people work together, great things happen. See how you, too, can achieve great things with Polycom VoiceStation 500. For more information visit our Library for Polycom VoiceStation 500 Specifications.pdf. The following provides a brief introduction of the ACCX AYC22 Digital Networking Card. — DEFINITY G3i, G3s, and G3vs Version 2 can use both of the I-channels. The option must be purchased, installed, and administered on the switch before Lucent Intuity Release 5 system administration is performed. Lucent account representatives have more information on the I-channel option for the Intuity AUDIX Digital Networking feature package. When using TCP/IP, an ACCX card can take the place for up to 4 TCP/IP channels, through the Ethernet LAN card. If no ACCX card is used, then all 12 networking channels can be configured as TCP/IP. The Comtalk Sales works with the customer to help determine the best configuration. 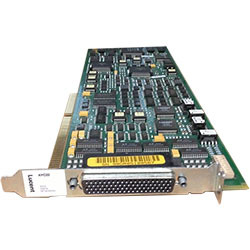 For more information visit our Library for ACCX (AYC22) Digital Networking Card. The following provides an overview of the features of the Avaya Universal Paging Access Module. VOX Delay Timer — Voice-controlled disconnect timer, for use in station port operation is enabled with a MODE switch. This automatically disconnects the line after a predetermined interval of silence (from 2 to 6 seconds, set with the VOX DELAY control; the setting may be critical with telephone systems that issue a rapid recorder tone after the paging party hangs up). seconds, set with the PAGING TIME control). This timer ensures that the unit will always disengage the line by forcing a disconnect, if the other disconnect functions are disabled or not available with a specific telephone switch. Note: The timer may be extended or inhibited. Background Music Input Jack and Volume Control —An RCA-type jack (BGM IN) accepts background music sources from the paging system. The level can be set with the BGM VOL control. Contact Closures—Two normally-open contact closures are provided on the UPAM which change state when the unit is activated. One set is located on the punch block (terminals N.O. and COM) and the other set is located on the bottom side of the unit (terminal strip). Direct Page Port Connection An 8-conductor modular cable is included for easy connection to modular page ports. For more information visit our Library for Avaya Universal Paging Access Module. Cooling Fan- Increasing the cooling capacity. Metal Flashing- Which draws air across furthering cooling the Unit. By Keeping the Unit cool, We have greatly increased the longevity of the Unit- which saves our customers money! The following list provides an overview of the features of the PagePac Plus AmpliCenter. 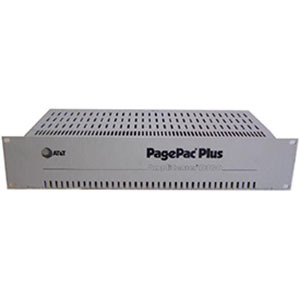 Amplifies paging — The AmpliCenter amplifies the page in increments of 20 watts (D20), 100 watts (D100), or 300 watts (D300) for a 70V constant voltage distribution system. Paging input — The AmpliCenter accepts inputs from PBX trunk ports, dry loop page ports, or amplified microphones. Music interface — The AmpliCenter is the unit to which the background music source (CD, radio, tape player) is connected, for distribution to the paging system. music volume level, and bass control adjustment pots on the rear panel. Overall output level can be controlled by dialing a DTMF code. Remote amplifier connection — The AmpliCenter provides 0 dBm audio output for connection to a remote amplifier, which receives a contact closure control signal from the AmpliCenter. For more information visit our Library for Avaya PagePac Plus AmplCenter D300. present. Either power supply can provide all the power needed by the G650. When there are two power supplies, they share the power load. One power supply can operate on AC power and the other on DC power. But, if AC power is available, the system always uses AC power. If you use only one Avaya 655A power supply, place it in slot 0. If you are using two power supplies, place them in slots 0 and 15. Note: You can insert or remove a redundant power supply and not affect the G650 if the other Avaya 655A power supply is operating. 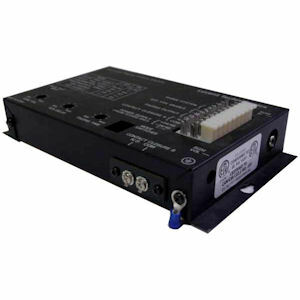 The Avaya 655A power supply can operate on either AC or DC input power. But, if AC power is available, the system always uses AC power. One power supply can operate on AC power, and the other on DC power. The power supplies use AC power first and switch to DC power if AC power fails or is not present. Minus 48VDC power can be supplied simultaneously as backup power. One -48VDC power input point is provided on the G650 backplane and is distributed through the backplane to each power supply. TN2202 French ringing circuit pack. You must remove the power supply from the G650 when you change the ringing frequency selection. The ringing frequency selection switch is on the back of the power supply. Only one 655A supplies ringing to the Avaya G650. The power supply in slot 0 in the Avaya G650 with an A carrier address is the default for ringing. The system uses this default Avaya 655A unless the Avaya 655A has failed or the software has commanded it to shut down. When a G650 carrier has redundant power supplies, one supply automatically supplies ringing if the other power supply fails. A Avaya 655A provides ringing to only one G650 carrier. For example, the 655A power supplies in carrier A supply ringing to carrier A only. Meanwhile, the power supplies in carrier D supply ringing to carrier D only. If the ring generation in both of a carrier’s power supplies fail, no other power supply provides ringing for the carrier. 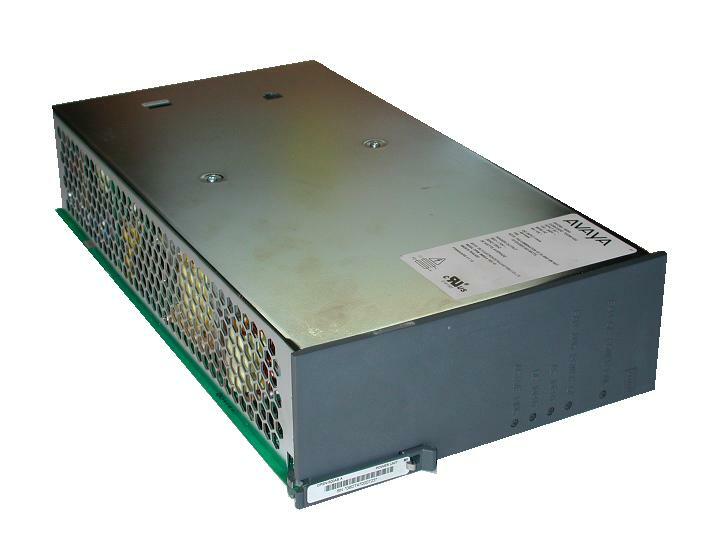 For more information visit our Library for Avaya 655A Power Supply.